At my kimono lesson today, I learned the koubai (red apricot blossom) knot. 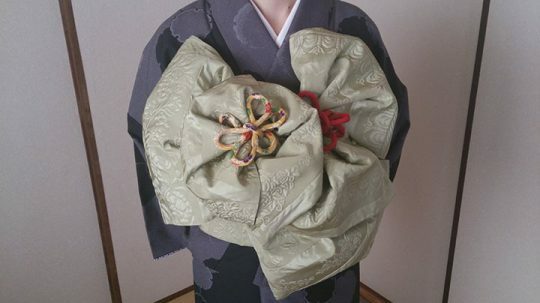 Adorning a regular obi (sash) with decorative ones, I’ve likened the knot to ume (Japanese apricot) flowers. Do you see it?